My Boat: 1967 34 Hatteras summer house. 2000 Crownline 248ccr her boat. 79 Pantera 24 Sport. it isn't just the boat manufacturers. i bought a motorhome. 15 years old. 19,000 orig miles. the wood box was collapsing and the fastners holding it together were rusting away. it was clearly made to last the length of the loan payments. heck, look at what they make new houses out of...flakeboard!!! My thoughts are it's not the wood quality, but the lack of sealing the wood at every hole drilled or cut out...cut out. Cheap wood will last forever if sealed properly. Expensive wood will rot when allowed to get wet. Thus the number of conflicting opinions of what type of plywood can be used. 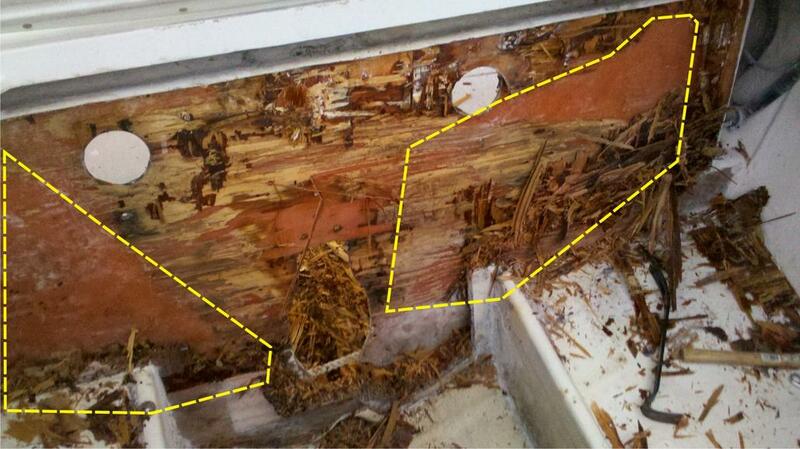 Every thread here I read about transom/stringer replacements is do to water getting to the wood, not cheap material. My thoughts....there are always exceptions. I've used all kinds of stuff for transoms and sometimes it comes down to budgetary constraints. Its always best to use a marine rated product but i have use a standard 7 ply birch from one of the big box stores and it worked fine. Keep in mind the failure of most transoms can be traced back to poor installation and sloppy rigging rather then choice of wood. Make sure all holes are well sealed and no exposed wood exists anywhere after the fact, on my transoms i even fully encapsulate the drive cutout as well as cap the bottom where the drain plug goes so it does not run through wood. Lets put it this way a properly installed and rigged off the shelf Home depot wood transom will far outlast a poorly installed marine Okume transom. Last edited by glassdave; 04-22-2012 at 10:55 PM. That's one thing that always baffled me. How poorly so many manufactures seal the hole for the drain plug passage(s). they don't seal it poorly. they don't seal it AT ALL!!! drive cut-out usually looks like some min wage kid used 3 squirts from a can of Krylon. I've seen it all when it comes to poor OEM quality. I had a 272 Formula in the shop for a transom and from the factory there were two huge (and i mean huge) air voids on both sides of the transom that were probably seventy five percent of the surface bond, the only place where the wood was actually bonded to the boats hull was an area about two foot wide by three foot high around the drive cutout. I agree i cant believe how crappy the OEM's handle rigging and cutouts, a simple brush coat will only last so long. 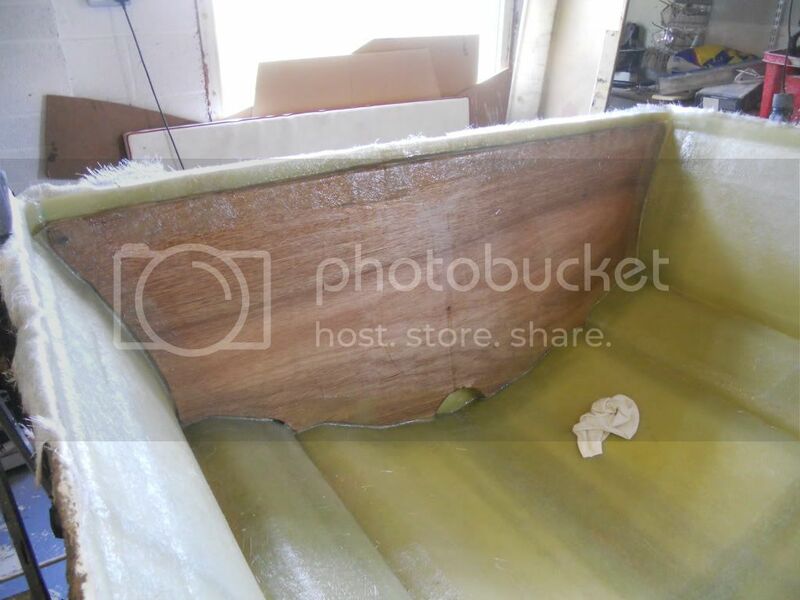 I cap that edge with a full layer of 1708 and at the bottom of the transom where the drain plug is i will cut and bevel back a larger hole in the wood and make that area pretty much solid fiberglass. Just as important as the quality of the wood, and the bonding, is remembering to cut a "mousehole" if your fitting a drain bung. Wobble and sutphen 30 like this.